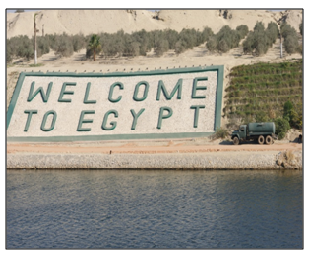 Today as we enter Suez and visit the country of the Pharoahs and the city of Alexander we realise that the white sands on either side of Suez hold a history only comparable to our own. 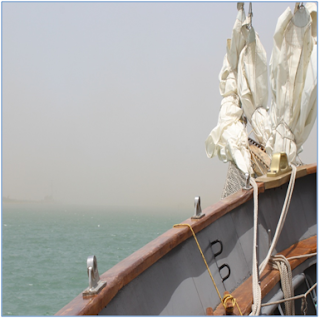 The ship encountered a mini Sand Storm during our passage through the Suez Canal. 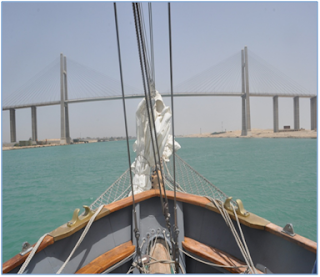 It turned out to be a good exercise for the Blind Pilotage team as we steered about 10 degrees from the planned track to maintain in the centre of this narrow Canal.